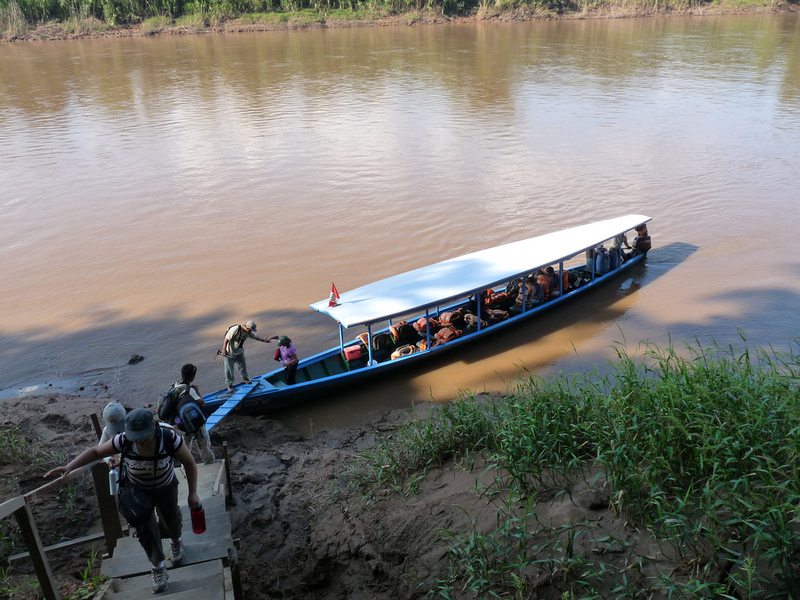 Harboring some of the most biodiverse rainforest in all of the Amazon, the Tambopata National Reserve has become a hotspot for travellers looking to connect with nature and to have a fulfilling jungle experience. But where should you stay to fully experience this amazing location? With a variety of excellent jungle lodges and hotels in and around Tambopata, Aracari shares first-hand experience to help you choose between the best Tambopata Lodges. The best luxury lodges in Tambopata are Inkaterra Reserva Amazonica and Inkaterra Hacienda Concepcion – where the luxury focuses on the quality of the accommodation. These are ideal if you’re looking for a taste of the Amazon without travelling too far or compromison on comfort. 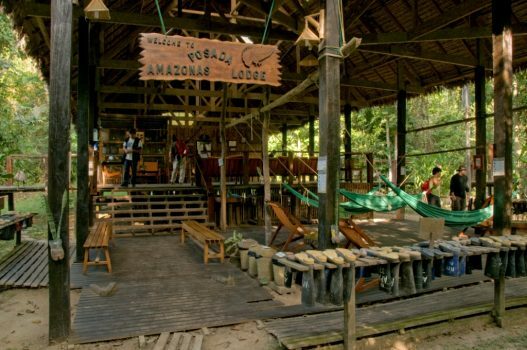 The best remote, authentic jungle lodge options in Peru are Posada Amazonas, Refugio Amazonas and the Tambopata Research Center. These offer a good level of service, similar food, and various engaging activities to give guests an entertaining and informative jungle experience, but each has its own pros and cons. 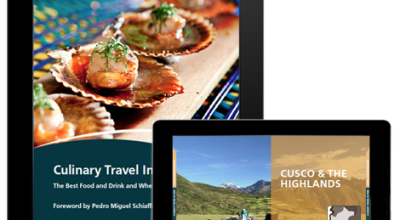 Here we share our insider insight to help pick between these three amazon lodges. Opened in 1998, the 30 room Posada Amazonas is the product of a partnership with the local community of Infierno. 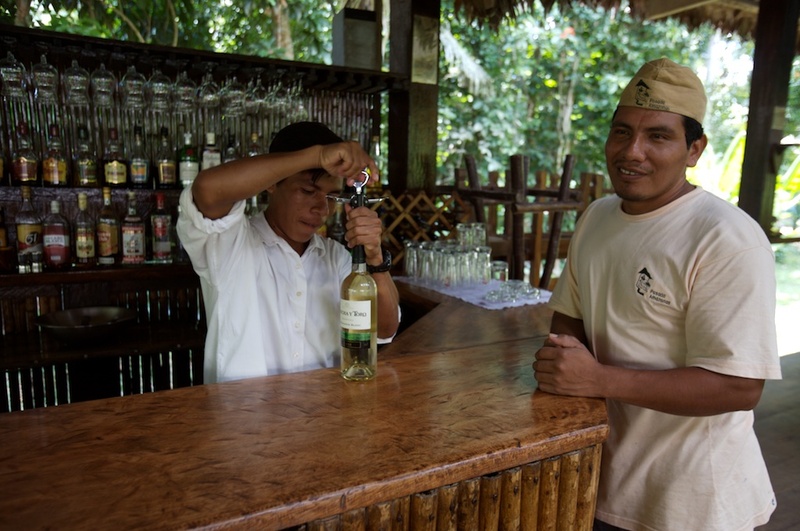 The lodge is owned and operated by the community, but managed by the operator Rainforest Expeditions. The most important thing to keep in mind about Posada is its location. Located only 45 minutes downriver from the port, it is the closest of the three lodges (total travel time around 2 hours) and easiest to access – perfect for any guests that still want to experience the jungle but only have a couple of days to spare. 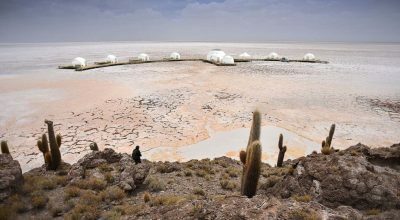 However, with its close proximity to Puerto, interested guests should keep in mind that from my personal experience, despite still offering ample opportunities, wildlife viewing is the most difficult out of the three lodges. There are also other great options in the area similarly close to Puerto Maldonado, namely Inkaterra Reserva Amazonica and Inkaterra Hacienda Concepcion which we also recommend. 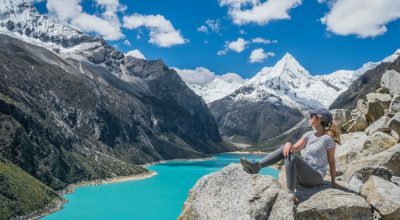 Despite this, Posada is an intriguing option for guests particularly interested in responsible tourism due to the participation of the local community in the operation of the lodge. We were particularly impressed with the demonstration of regional plants and botanical medicines by a local Shaman. The other main activities offered at this lodge include a climb up the canopy tower (at 37 metres it is tallest out of the three), a visit to a nearby oxbow lake, a tour to an organic farm (where we stocked up on local chillies), and a visit to a small parrot clay lick. Read more about Posada Amazonas. Located two hours upriver (4 hours total travel time from airport) from Posada Amazonas on a private reserve in the buffer zone adjacent to the Tambopata National Reserve, Refugio Amazonas opened in 2005, features 32 well-equipped and comfortable rooms, and is typically the first stop for any guests eventually visiting the Tambopata Research Center to cut the trip upriver in half. This is the only two-story lodge out of the three and in our opinion, it feels much larger and busier than the other lodges, something some people may be looking to avoid with a trip to the jungle. However, for those guests looking for something a bit more secluded, a private villa is now on offer just a short boat ride down the river. Wildlife viewings here were better than at Posada, but not as good as Tambopata Research Center. The highlight of Refugio for Simon and I was the lodge’s focus on providing a unique, insightful, and fun experience for children, including the only Peruvian Amazon rainforest trail specifically designed for children. Partnered with an educational NGO, this trail was set up based on the story of a six year old girl living in the rainforest named Ania. Children are meant to feel as if they are part of the story and learn valuable lessons about their relationship with the Earth. To top it off, Refugio has other kid-friendly activities including a cool, little playground, that even Simon couldn’t pass up. Overall, if traveling with a family to Tambopata, there is no doubt in my mind that Refugio Amazonas is the best option in terms of activities. They also have their own private villa for travelers looking for a more exclusive jungle experience. 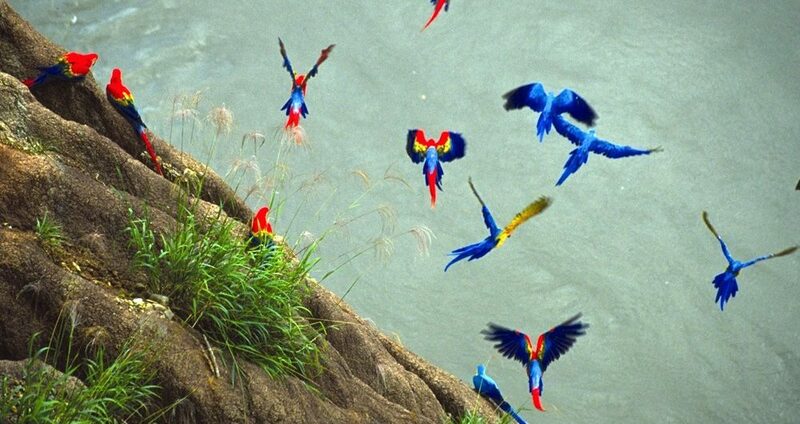 Read more about Refugio Amazonas. One of the most remotely located rainforest lodges in this part of the Amazon, TRC is located four hours upriver from Refugio and almost 8 hours total from Puerto Maldonado. To get here, you spend one night at Posada Amazonas to break up the journey on the way. The 18-room lodge is the smallest of the three lodges and was built over 20 years ago, although it was rebuilt only 5 years ago. You definitely feel like you are very deep within the jungle and the density of wildlife here was significantly more than the other two lodges. This also serves as a research center for macaws and the nearby clay lick, one of the largest known macaw clay licks in the world. 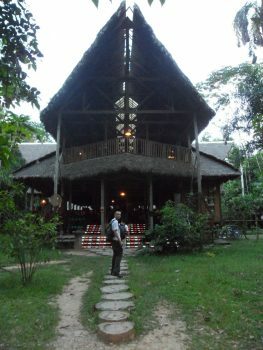 It is also the only rainforest lodge located within the Tambopata National Reserve itself. 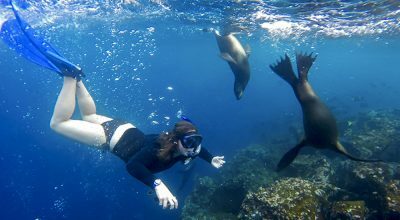 Simply put, if you’re looking for a more in depth rainforest experience, then TRC is the best choice. Further away from cities and civilization, TRC gives guests the best opportunity of viewing wildlife. In the few days we spent there, we saw significantly more species of animals than at Refugio and Posada and visiting the nearby macaw clay lick was one of the most impressive experiences of my life. For me the long journey was well worth the reward. On the other hand, TRC is not the right choice for guests with time constraints. Though the prooperty underwent upgrades in 2017 to offer a more luxurious standard of accommodation, the real luxury remains the privileged location. Read more about our stay at Tambopata Research Center. 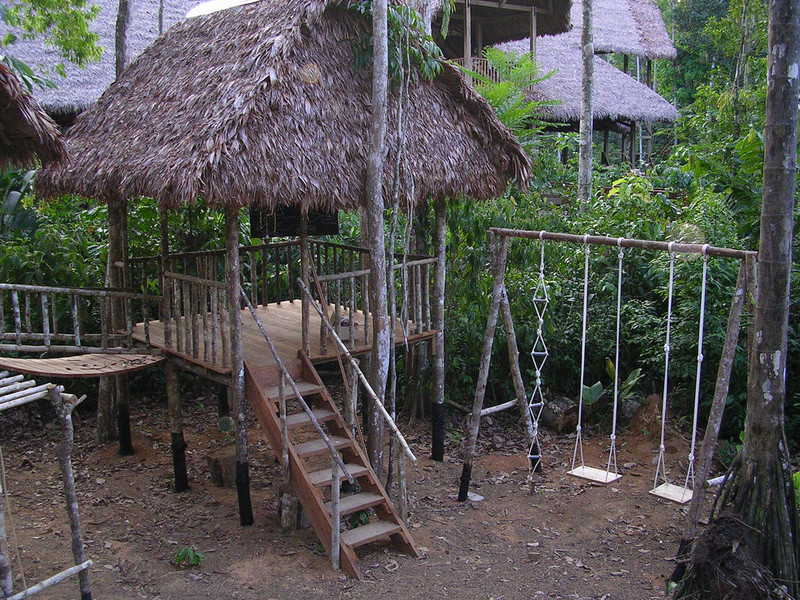 Contact us for more information on these jungle lodges and planning a trip to Peru.